A friend and I are in the Canadian equivalent of the Big Apple to check out the 20 Bloggers for a Rose Virtual Gallery at the Luminato Festival of which I am a part of. So I have some exciting news to share, I have recently joined FASHION magazine’s Beauty Panel. The panel is an online feature at fashionmagazine.com where every Thursday beauty bloggers from across the country answer a weekly question and share their personal tips and tricks. 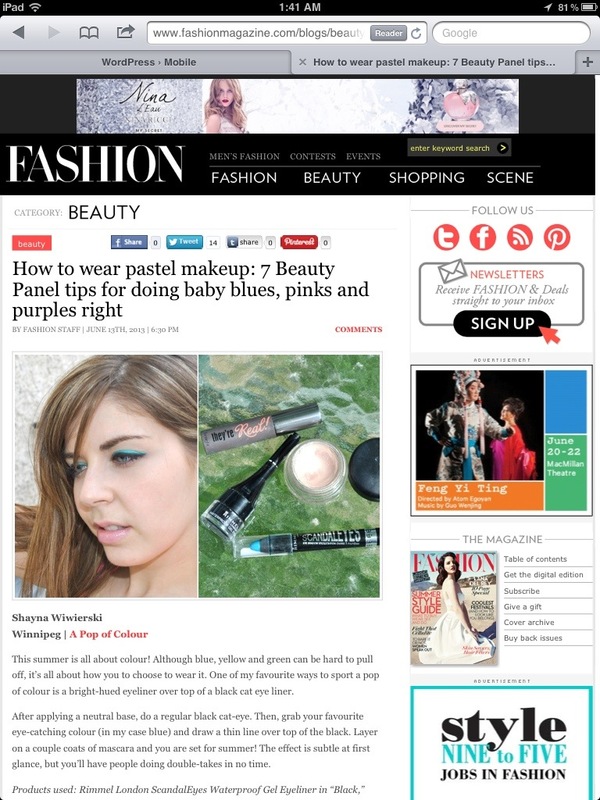 This week’s question was how to wear pastel-coloured makeup. Blue eyeshadow was on-trend for spring and summer and now even more bright, retro-inspired colours are making the beauty rounds. We had to create a look that incorporates bright colour, whether it’s for eyes, cheeks, or nails, and how to make the colour work for your complexion to the look is more current and not totally ’80s. The first thing I thought of is one of my favourite ways to wear blue eyeliner. Not just any blue, but bright blue (the louder the better). An easy way to do this is by popping it along your waterline, but I personally love drawing it on over a black cat eye. By doing this technique, the colour pops even more, and is such an eye-catching way to have people doing double-takes every time you blink. 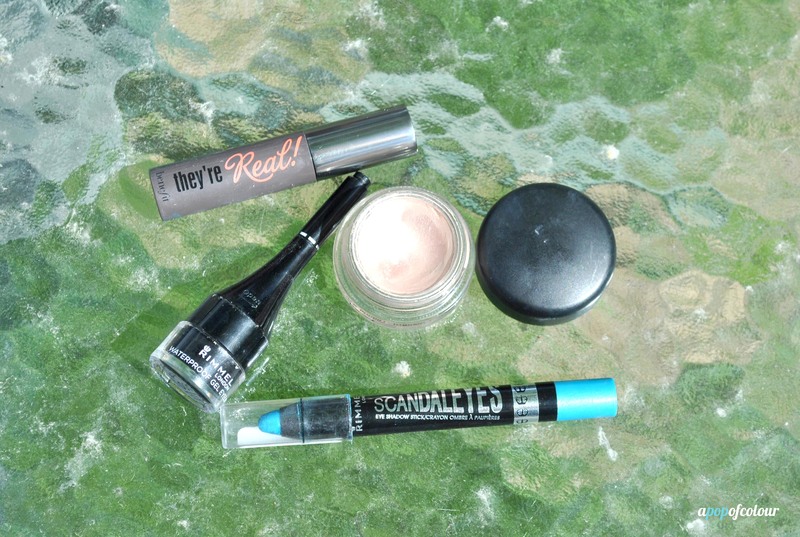 For this particular look I used Rimmel London ScandalEyes Waterproof Gel Eyeliner in black, Rimmel London ScandalEyes Shadow Stick in Tempting Turquoise, Benefit They’re Real! mascara, and MAC Paint Pot in Bare Study. I am so excited to join the beauty panel because for those who don’t know, I have a journalism background, and aside from working in the print media field by day, I am also a freelance writer on the side, so just being associated with FASHION is a huge honour.